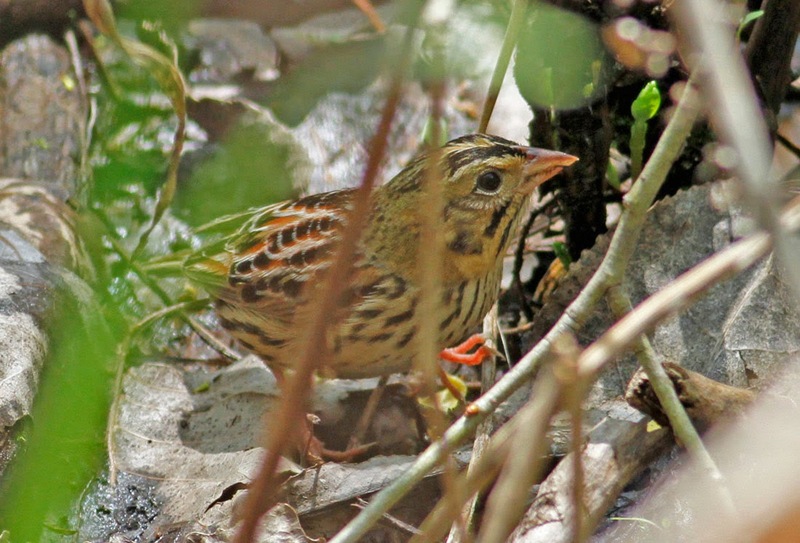 A Northern Waterthrush singing in the yard was a really nice way to start the day, this species being the scarcer of the two in our corner of Gill. 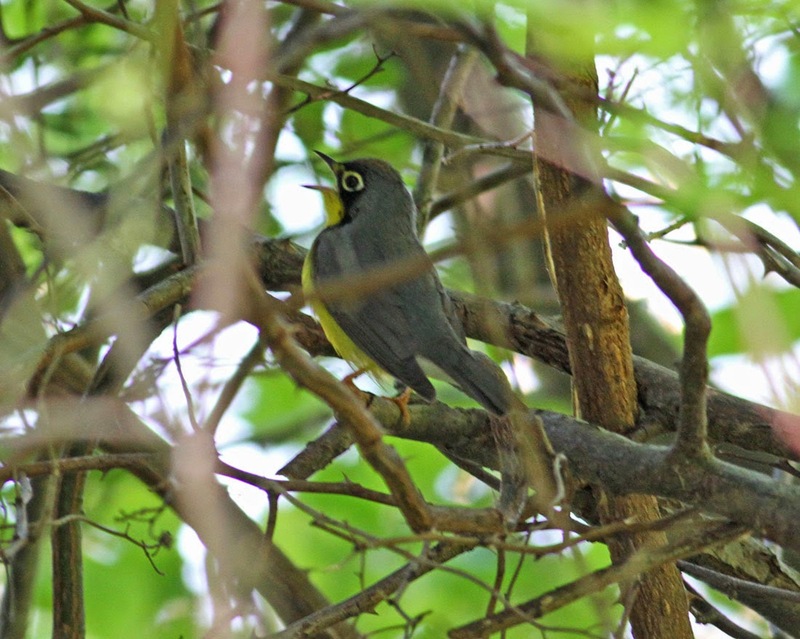 Our resident breeding Louisiana Waterthrushes called from the river a few times but didn't interfere with the Northern's singing. By 8am the Northern had moved on. 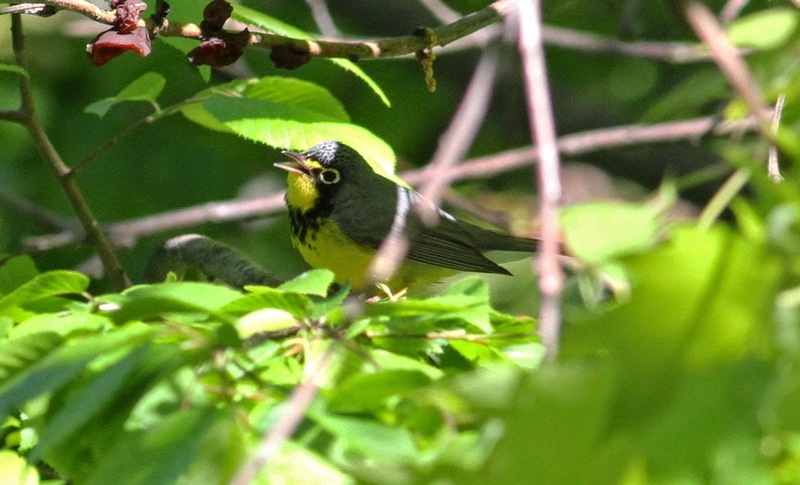 A little later I checked Barton Cove and was pleased to hear and later see, a very smart male Canada Warbler singing from the Oaks, Alders and Hemlocks close to the water's edge. 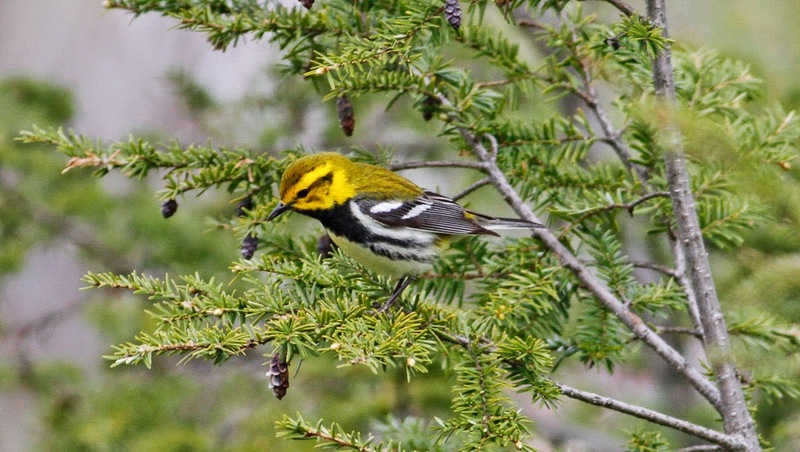 After a couple of 'heard-only' Canada Warblers in Gill last weekend, this encounter was much more satisfactory. 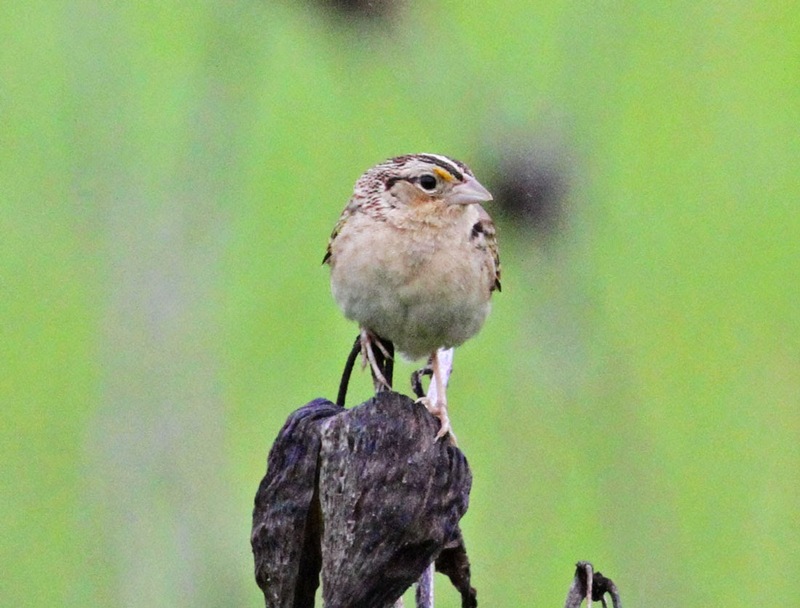 What's more, it really looked and behaved like a bird holding a territory so I'll make periodic checks on this one during the breeding season. 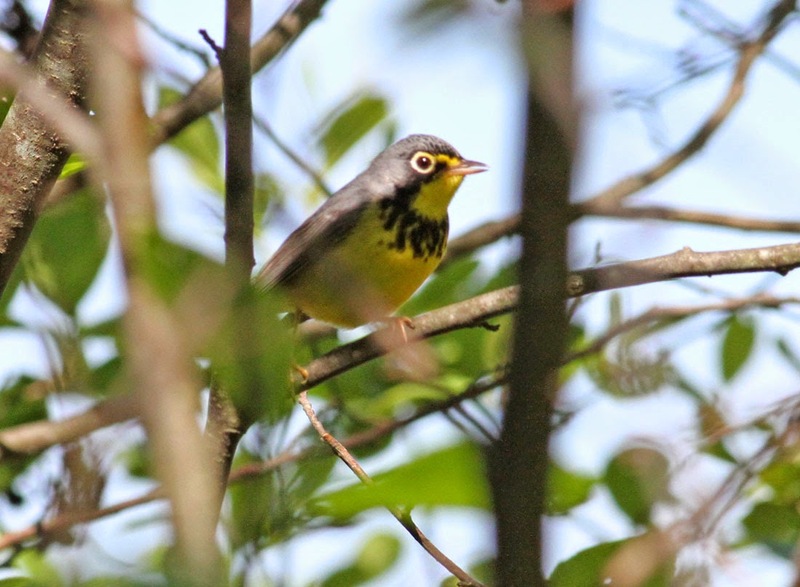 Canada Warbler - male, Barton Cove, Gill, Franklin Co., MA. May 29th, 2014. 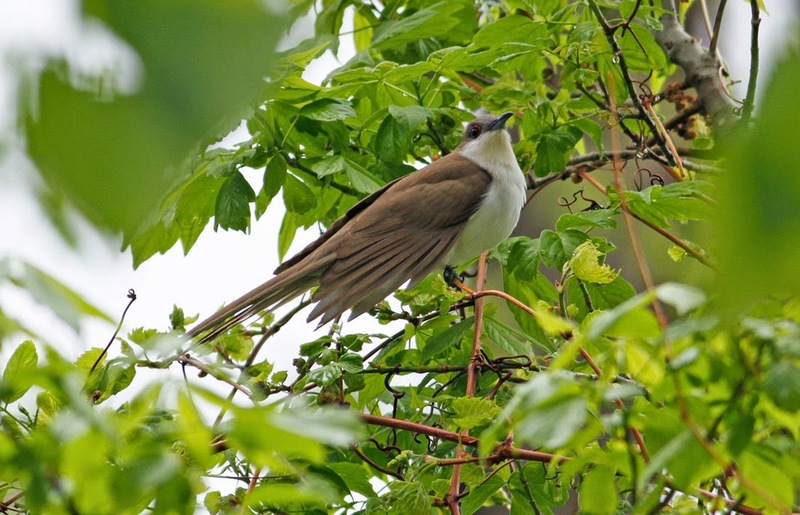 Shy and furtive, and surprisingly difficult to spot within the sun-dappled branches. Also worthy of mention, two day ago, a close, naked eye encounter with a Bobcat at the side of Main Road in Gill. No pics unfortunately as I was running, but a nice observation all the same and at least my fourth in Gill. Given the hustle and bustle of "The Biggest Week", the excitement of the twitter feed and all the crowds at Magee Marsh, it was rather nice to have an easier, relaxed morning at Tawas Point State Park on the shores of Lake Huron, SE Michigan. 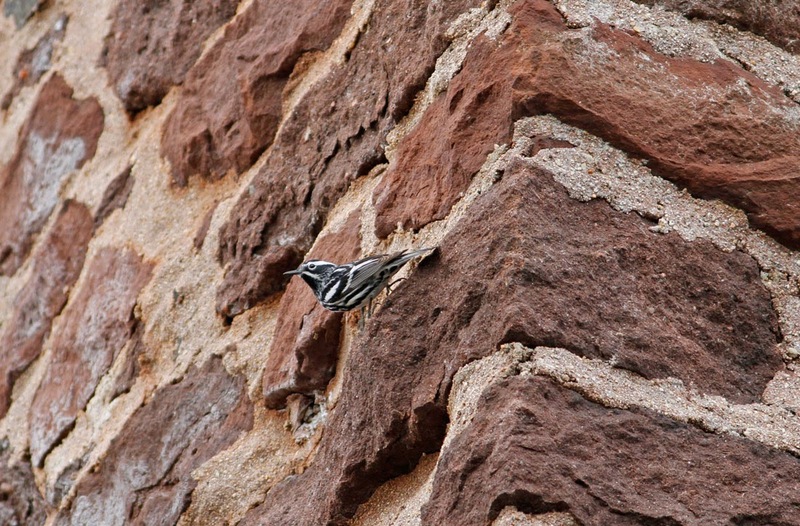 This relatively small peninsula has all the hallmarks of a 'classic' migrant trap and proved to be above and beyond expectation during an all-too-short visit on May 17th. 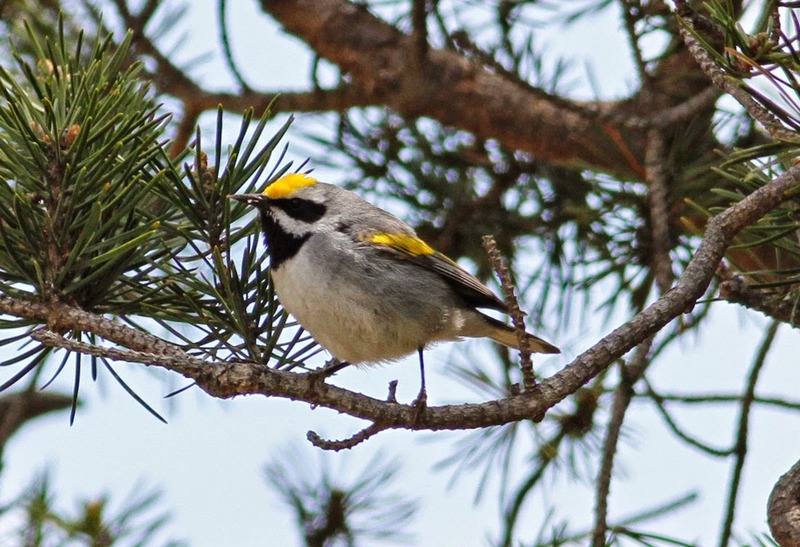 This extremely crisp male Golden-winged Warbler was just one of many highlights during our morning there. 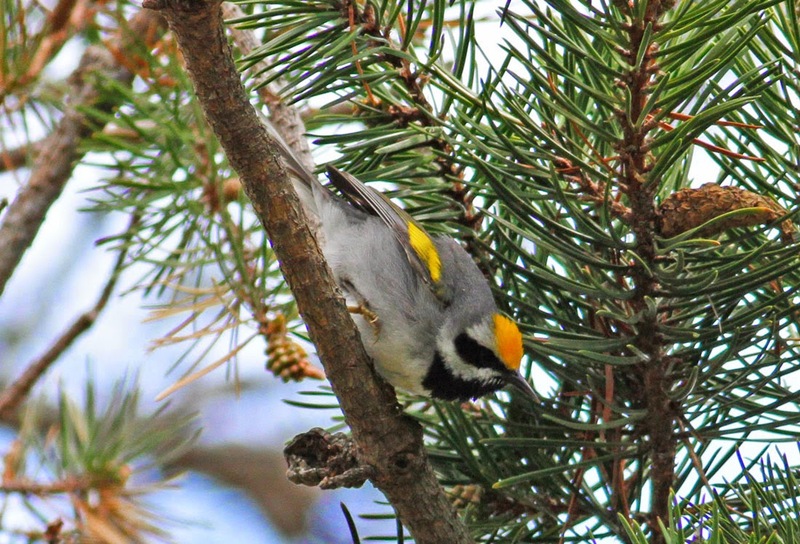 Golden-winged Warbler - male, Tawas Point SP, SE Michigan, May 17th, 2014. 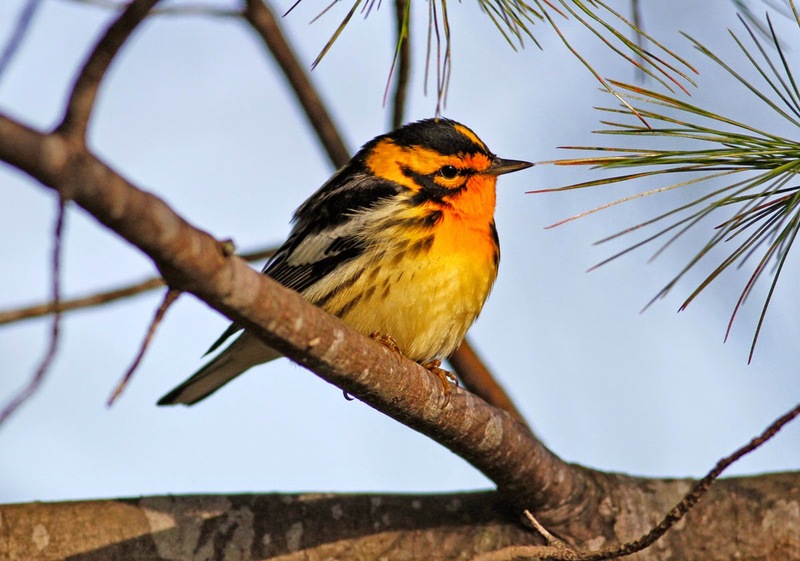 Blackburnian Warbler - male, Tawas Point SP, SE Michigan, May 17th, 2014. 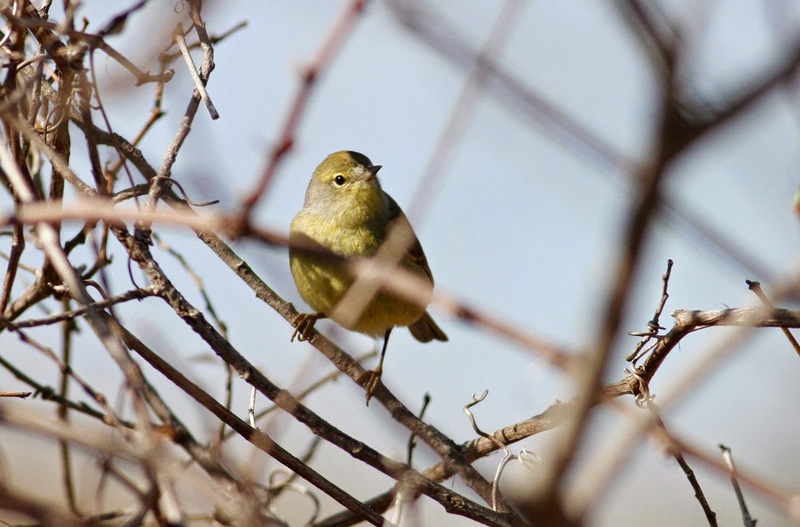 Orange-crowned Warbler - Tawas Point SP, SE Michigan, May 17th, 2014. 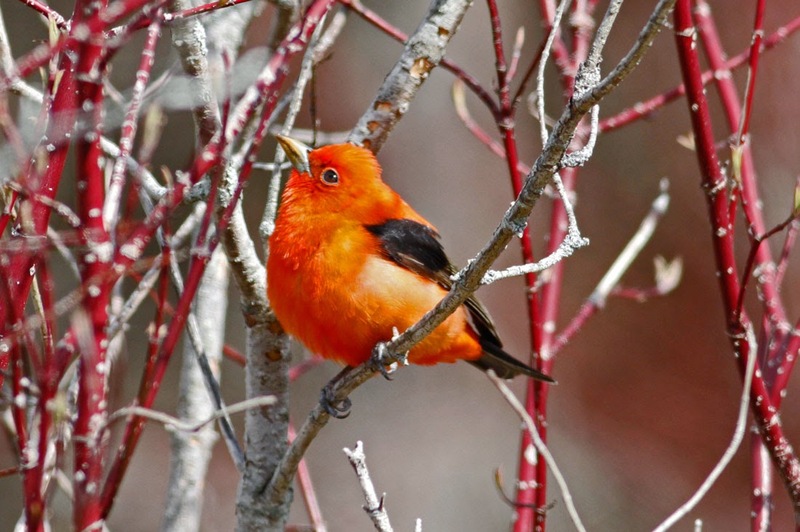 Scarlet Tanager - male, Tawas Point SP, SE Michigan, May 17th, 2014. 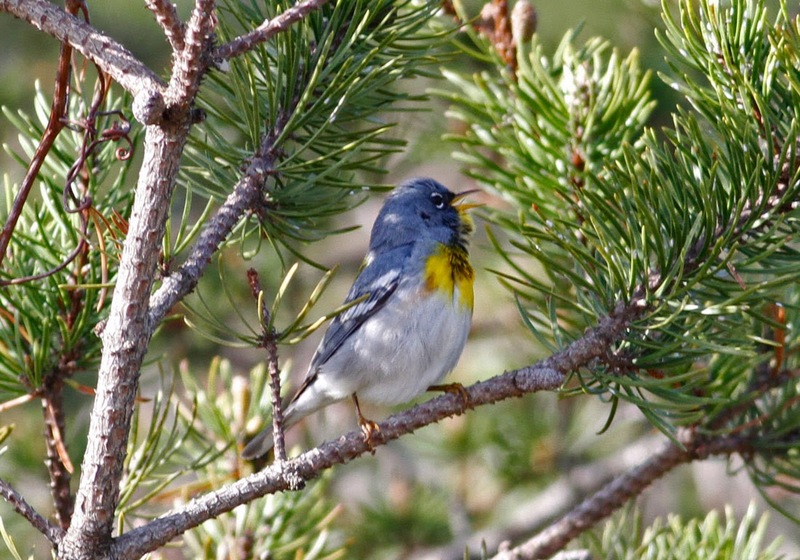 Northern Parula - male, Tawas Point SP, SE Michigan, May 17th, 2014. This morning saw another rain bearing front pass through Franklin County. Hopeful that some late migrants might have dropped into Barton Cove, I tried a few of the vantage points (Riverview Drive, public boat ramp etc) with little success other than hundreds of hirundines hawking over the waters including good numbers of Bank Swallows. 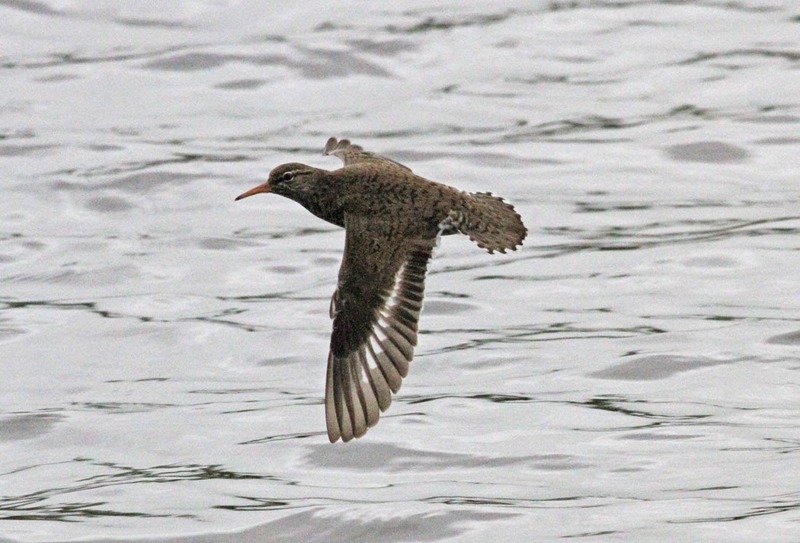 The Turner's Falls Rod and Gun Club had some nice Spotted Sandpipers and a breeding plumage Common Loon but little else. 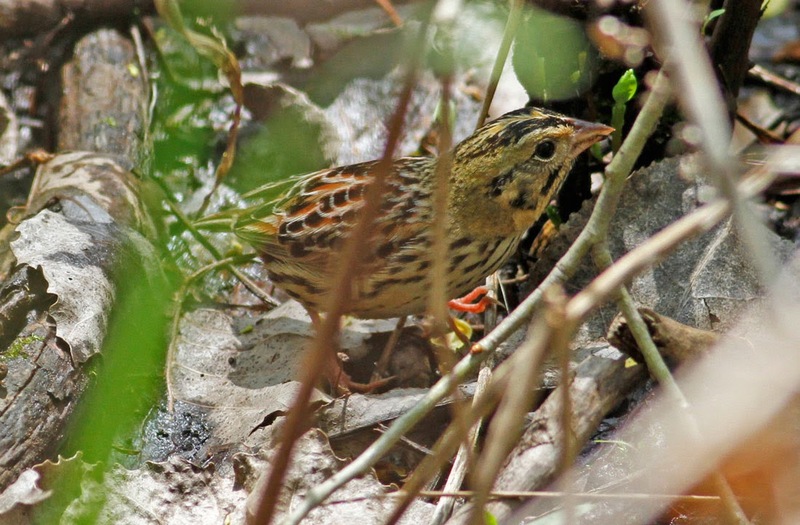 As I drove by the Turner's Falls airfield I started hearing Grasshopper Sparrows singing through the gloom and soon notched up three to five (heard-only) singing birds. 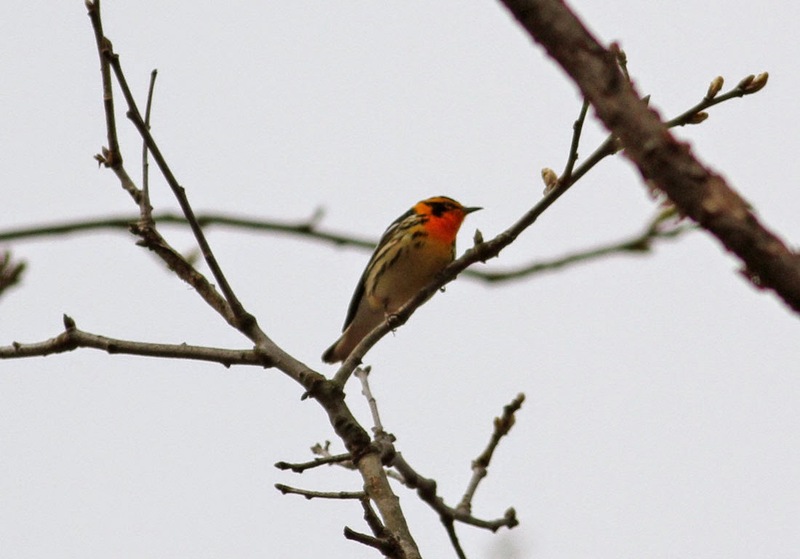 Getting a visual proved a lot more difficult but eventually I found a singing bird close to the road giving really nice views. 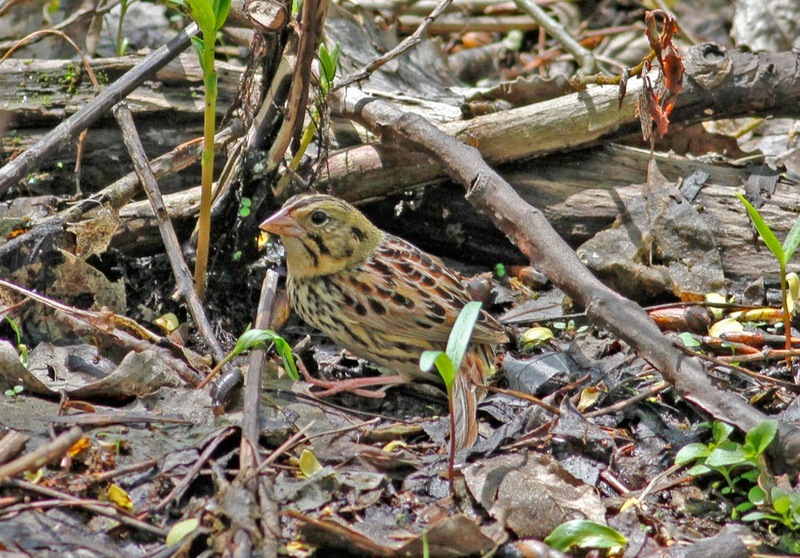 Grasshopper Sparrow - Turner's Falls, Franklin Co., MA. May 28th, 2014. 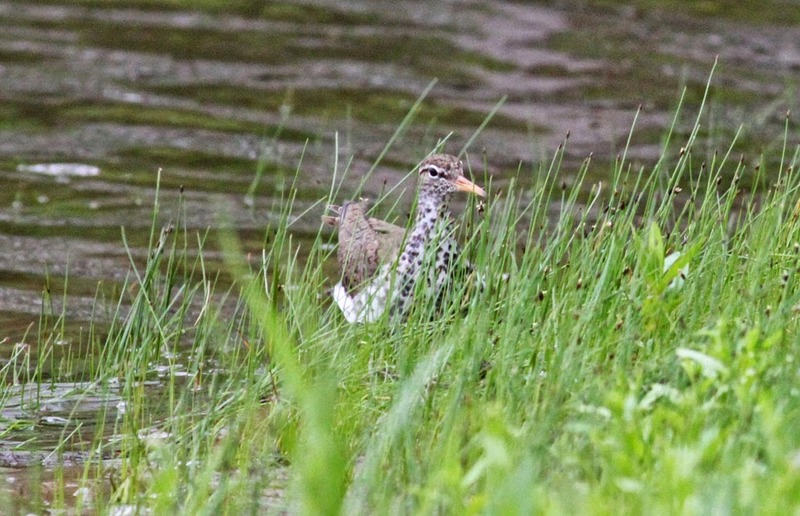 Spotted Sandpiper - Turner's Falls, Franklin Co., MA. May 28th, 2014. 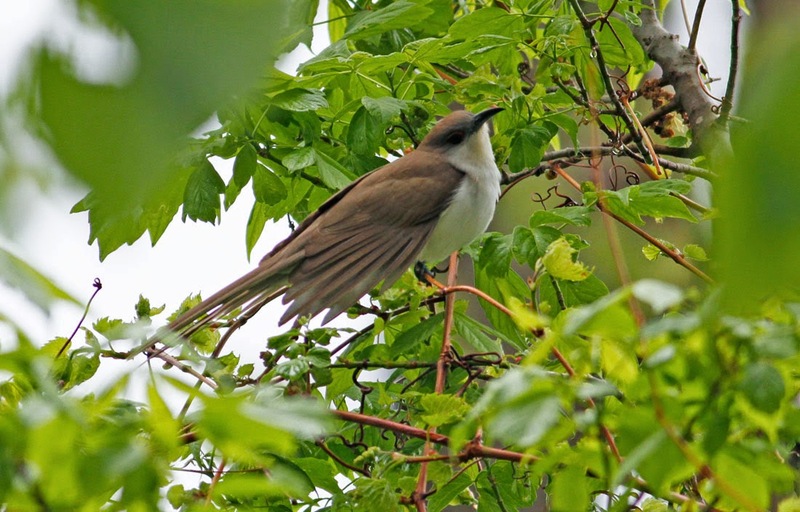 Black-billed Cuckoo - West Beach, Magee Marsh Wildlife Area, NW Ohio. May 12th, 2014. 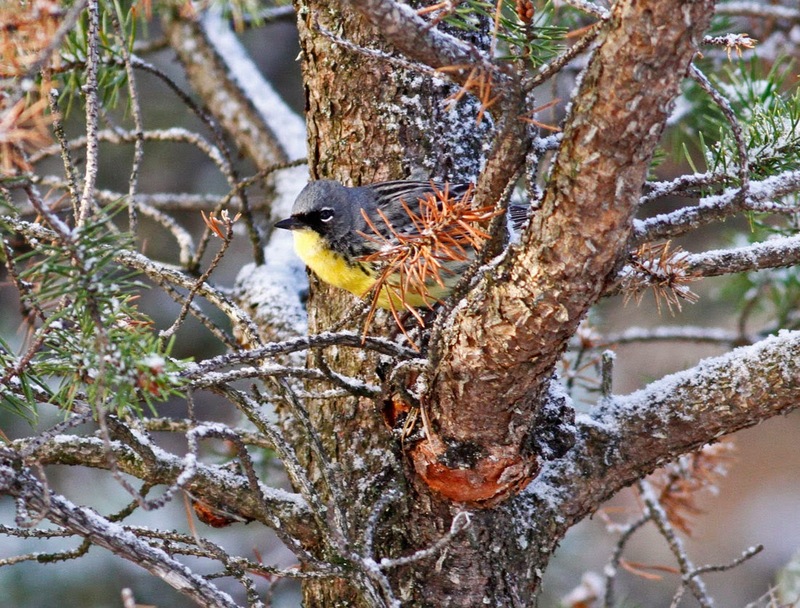 One of three seen on the first full day of our Birdfinders tour getting the trip off to a cracking start! 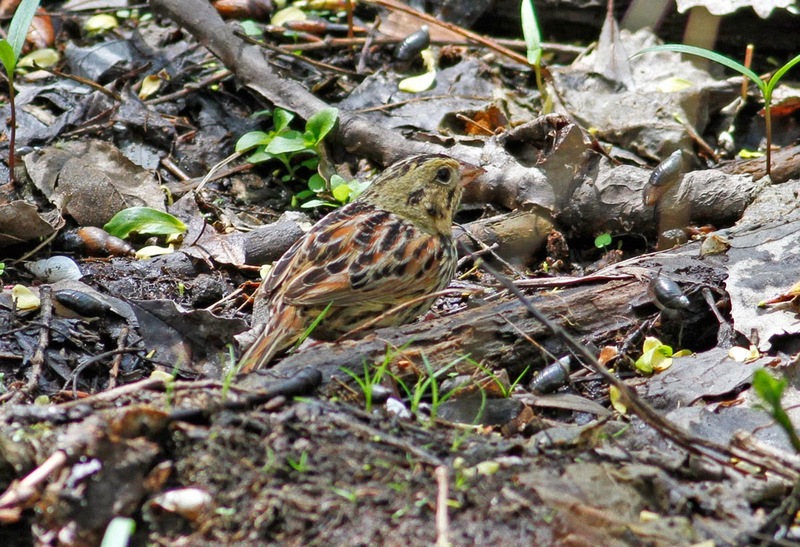 Perhaps the biggest surprise from "The Biggest Week in American Birding", this Henslow's Sparrow from the boardwalk at Magee Marsh. 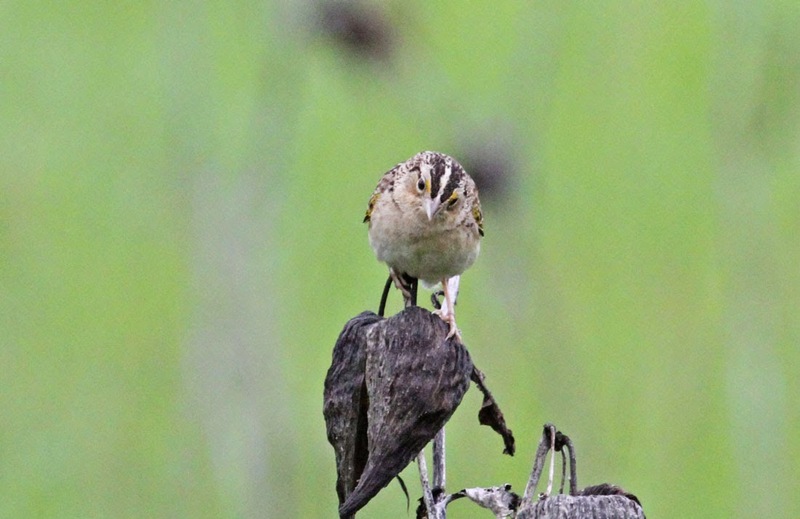 I don't have much experience with this grassland breeder but the presence of this migrant in damp woodland threw me off balance completely. Remarkably tolderant, it fed just feet off the boardwalk in front of hordes of admirers. Kudos to the finder whoever he/she was! 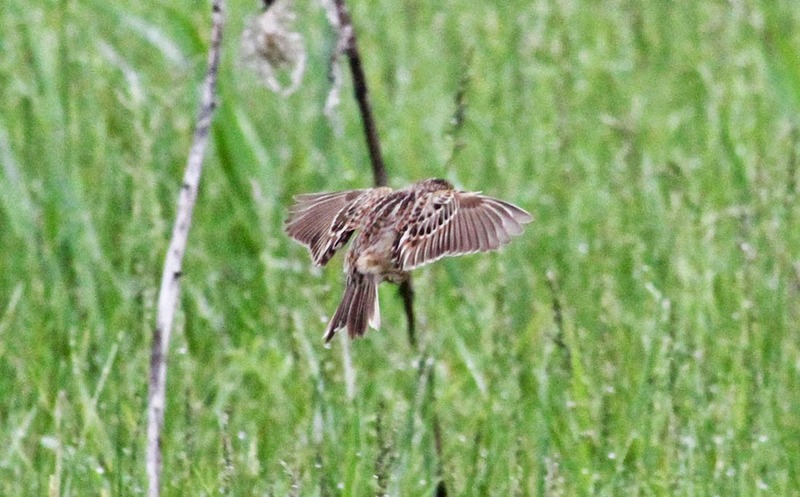 Henslow's Sparrow - Magee Marsh Wildlife area, NW Ohio. May 13th, 2014. 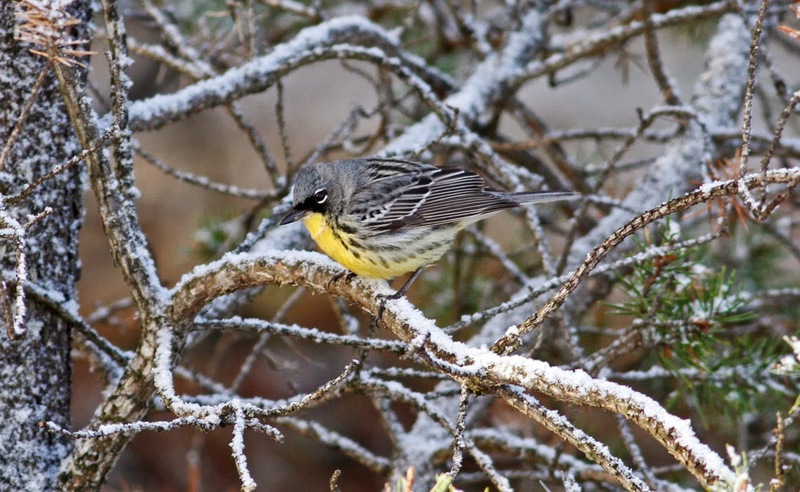 We had just a single morning to try for Kirtland's Warbler near Grayling so were not too pleased to wake up to 32 degrees fahrenheit and fresh snow! 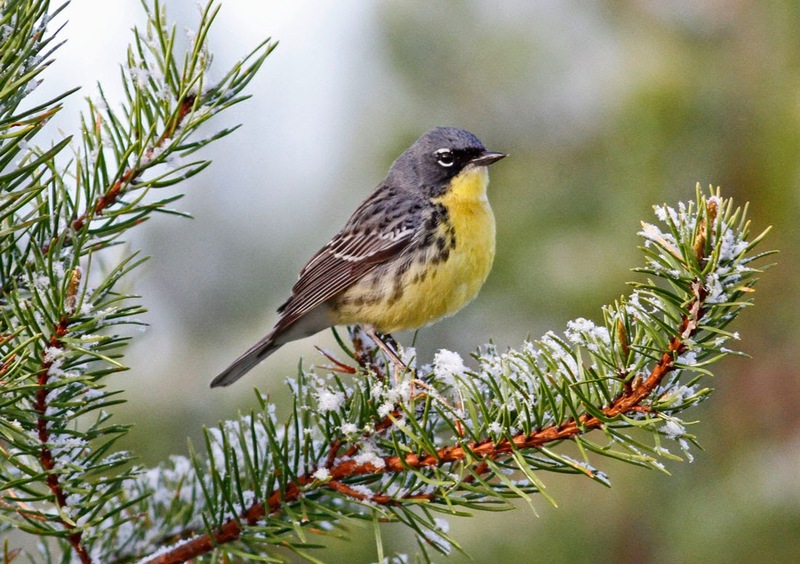 Our chosen site was eerily quiet when we first arrived at 7am but as the sun broke through the clouds the first bursts of Kirtland Warbler song could be heard across the Jack Pines. 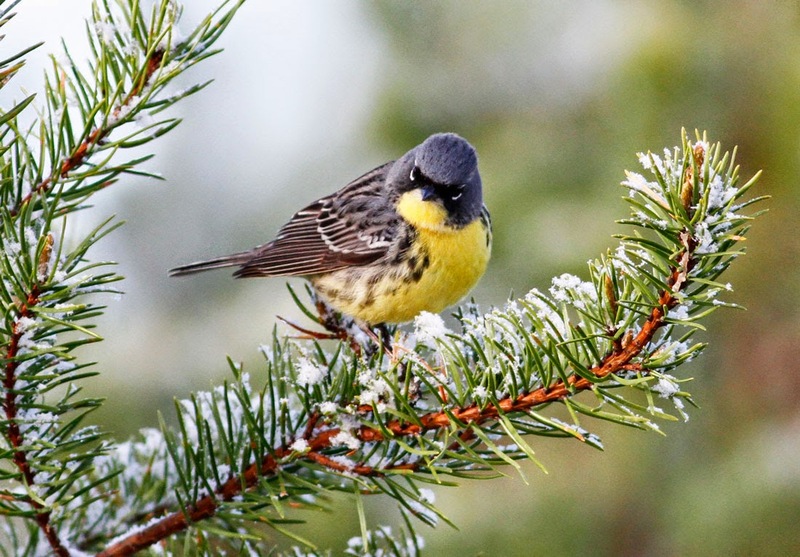 By 8am singing males seemed to be all around us despite the bitter cold. 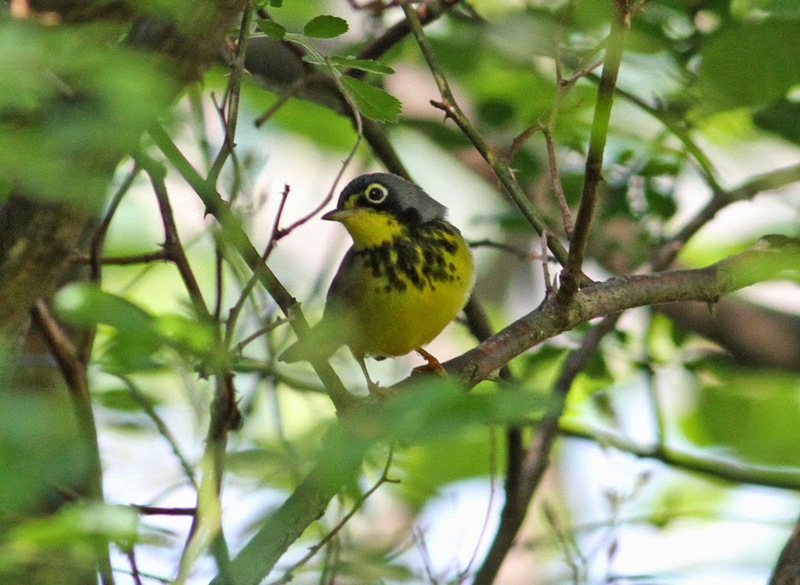 On a tour that included no less than 31 species of North American warbler, this species (and the experience) was the highlight of the trip for me, hands-down. 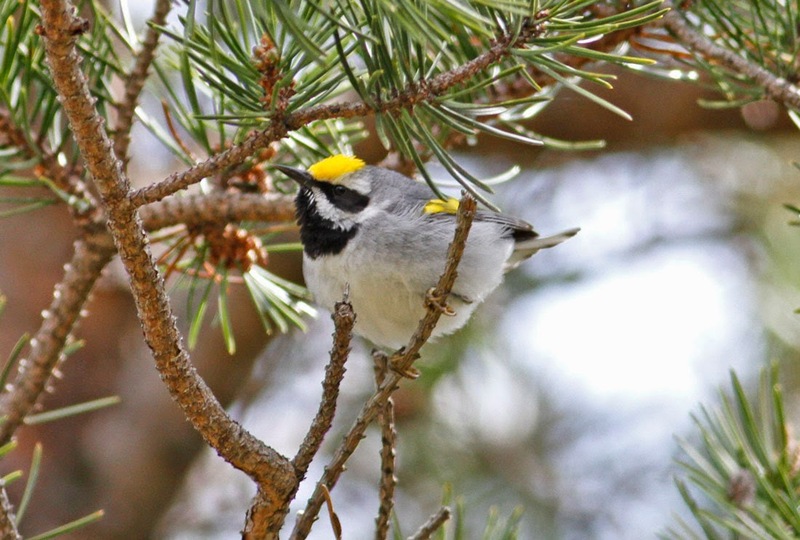 Kirtland's Warlber - male, east of Grayling, MI. May 16th, 2014. Exceedingly rare and exceedingly beautiful. 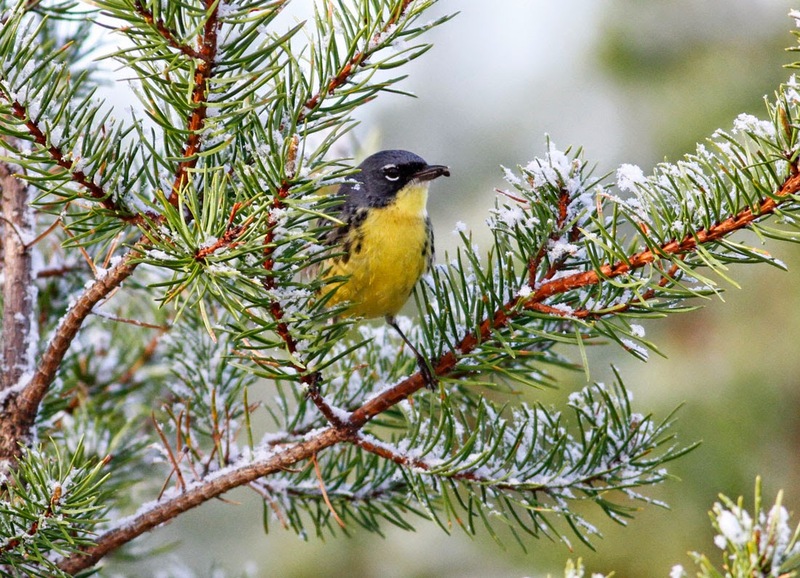 Been having some nice mornings locally with my mum, Margaret Smith, visiting from the UK. With most of the foliage yet to unfurl these beautiful new spring arrivals have been relatively easy to spot. 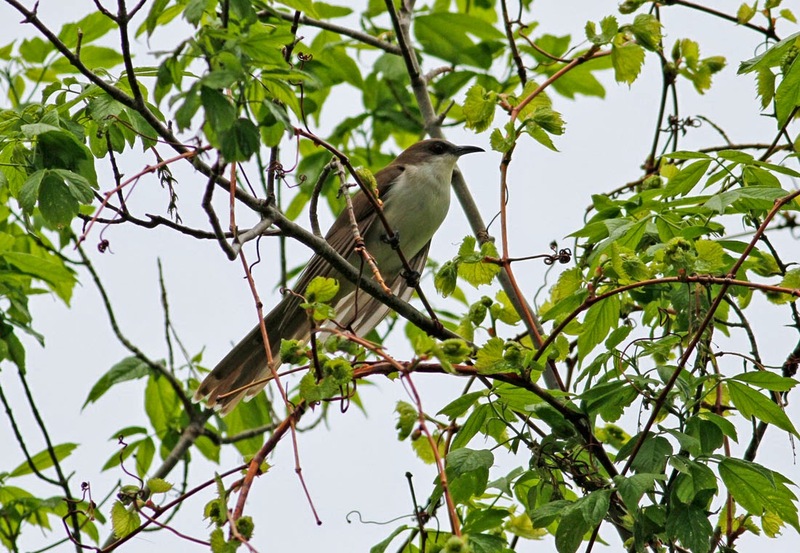 Nice to see Prairie and Yellow Warblers already widespread by the 5th, and Gray Catbirds seemingly everywhere. Barton Cove has been quiet with no new (or obviously so) arrivals - 1 non-breeding Common Loon and 3 female Buffleheads on the 5th. 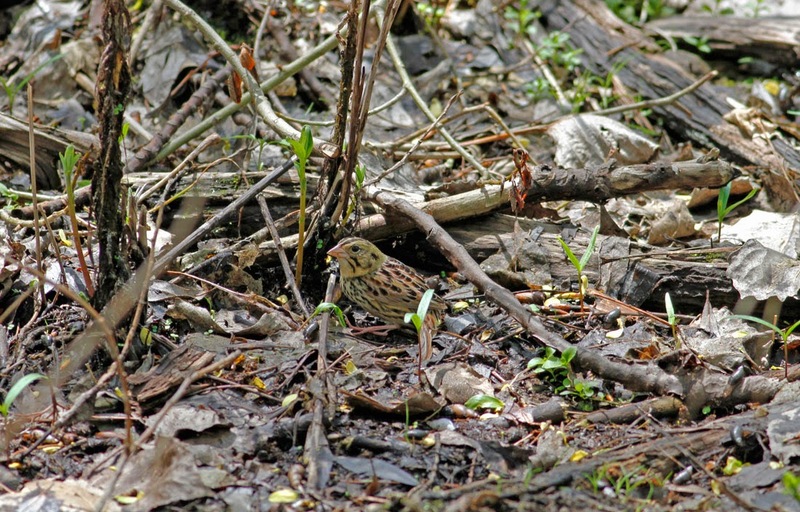 And a surprise female Merlin at Unity Park, Turner's Falls on the evening of the 8th. 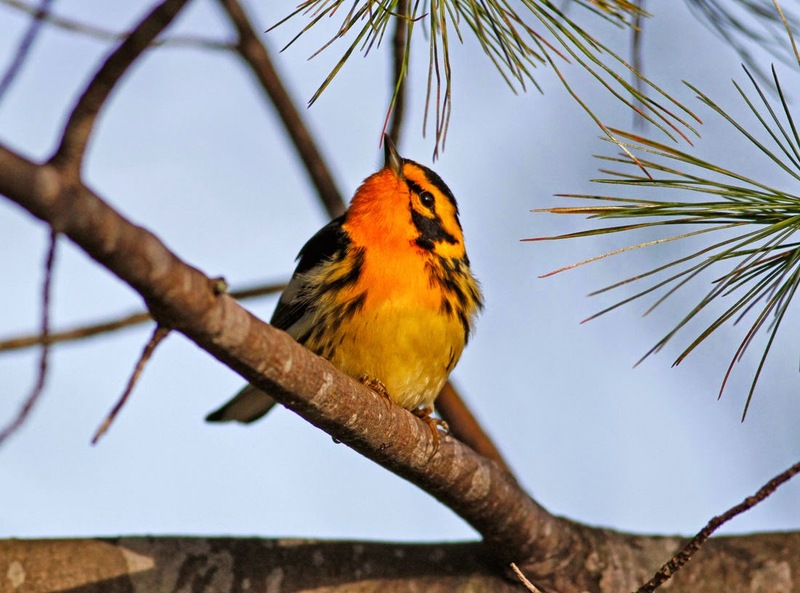 Blackburnian Warbler - male, Poet's Seat, Greenfield, Franklin Co., MA. May 5th, 2014. 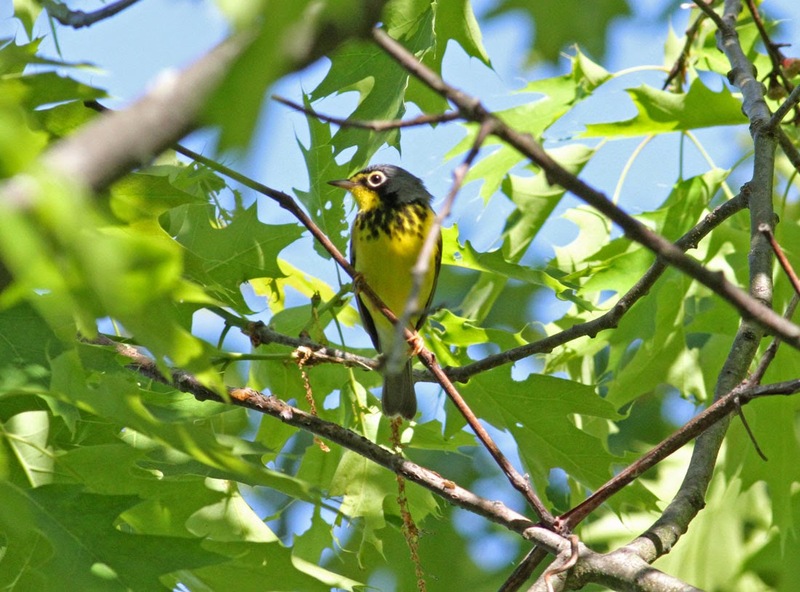 Black-throated Green Warbler - male, Poet's Seat, Greenfield, Franklin Co., MA. May 8th, 2014. 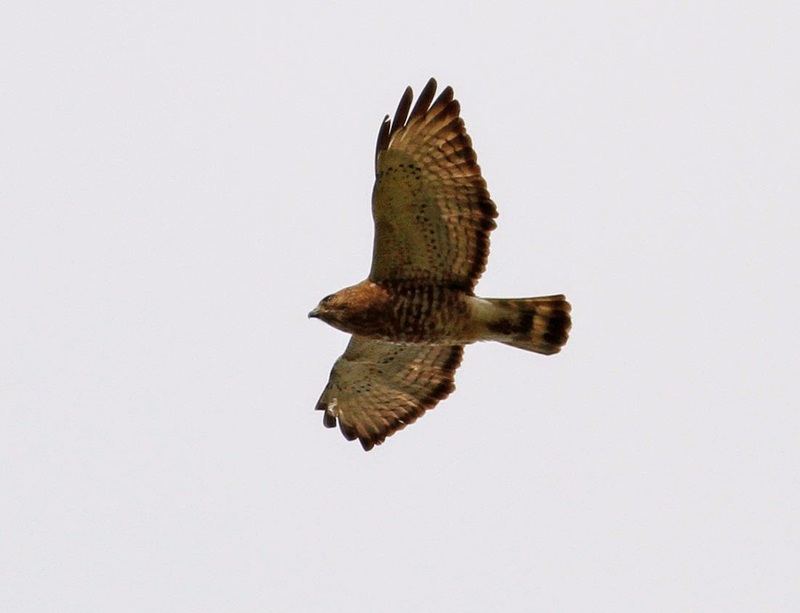 Broad-winged Hawk - adult, Gill, Franklin Co., MA. May 7th, 2014. 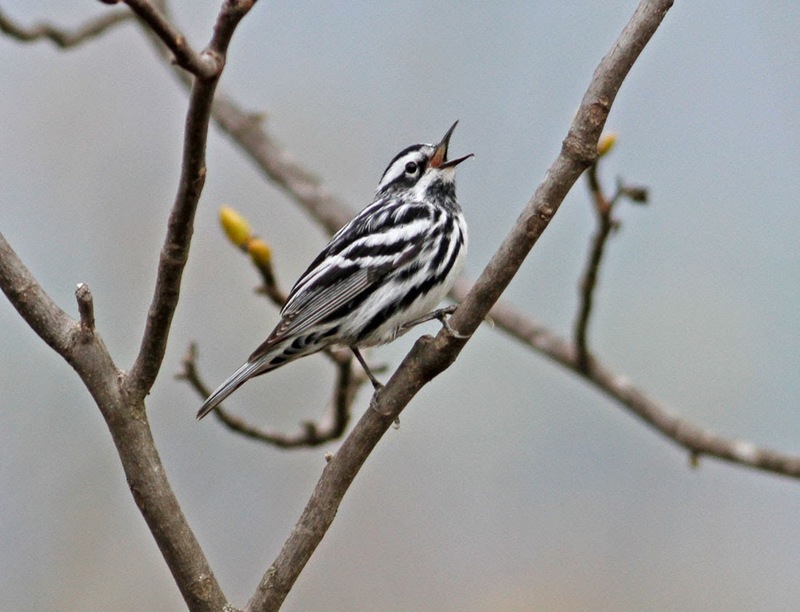 Black-and-White Warbler - male, Poet's Seat, Greenfield, Franklin Co., MA. May 8th, 2014. 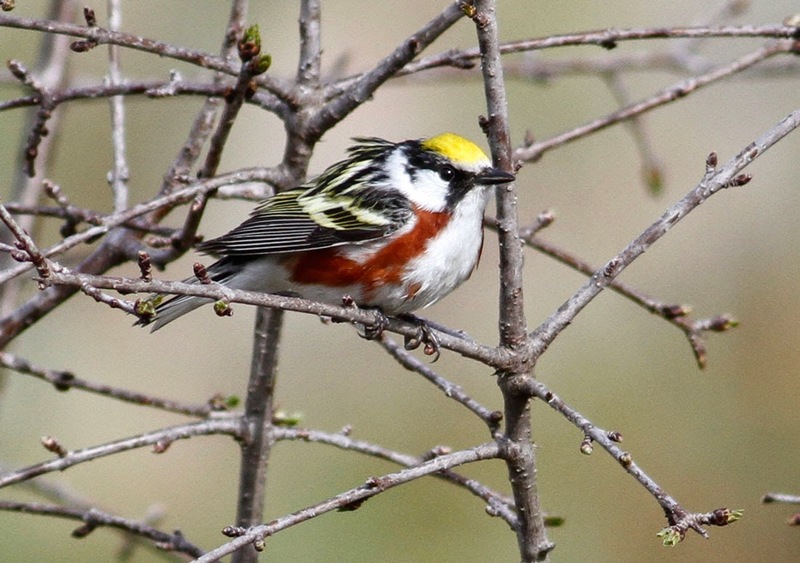 Chestnut-sided Warbler - male, Mountain Road, Gill, Franklin Co., MA. May 5th, 2014. 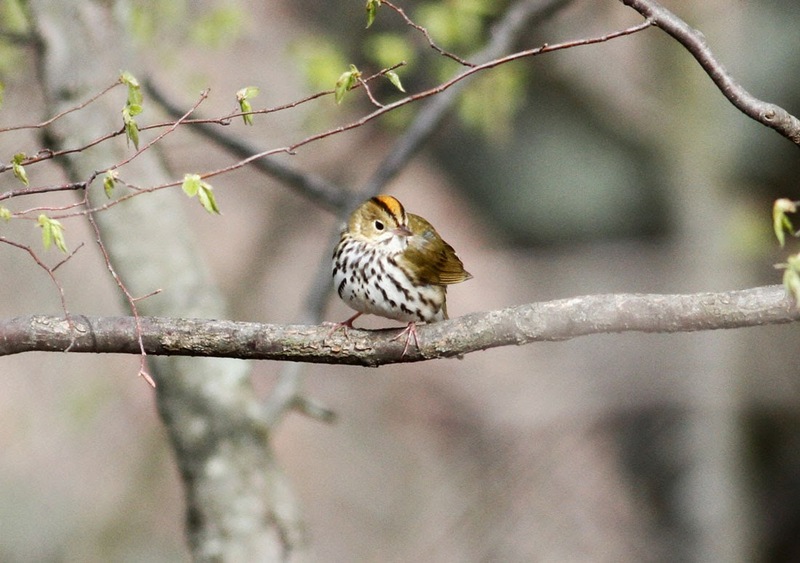 Ovenbird - male, Poet's Seat, Greenfield, Franklin Co., MA. May 5th, 2014. 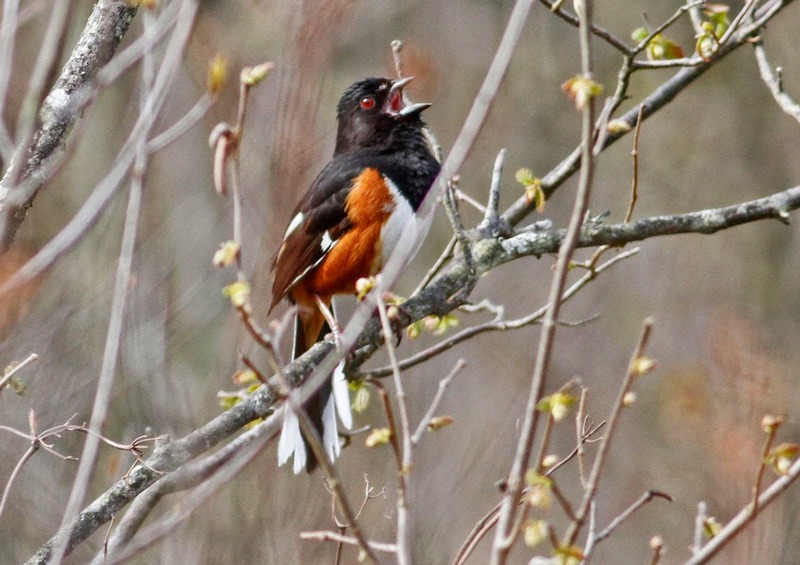 Eastern Towhee - male, Mountain Road, Gill, Franklin Co., MA. May 5th, 2014. 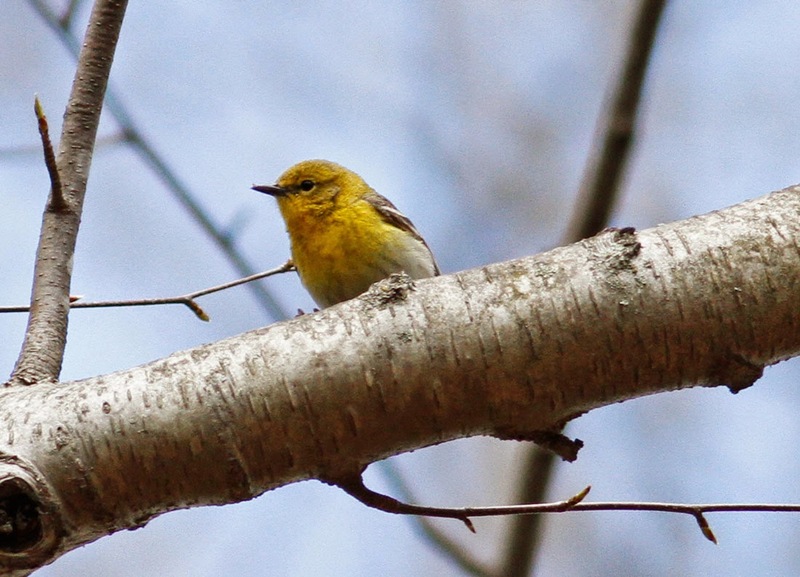 Pine Warbler - male, Poet's Seat, Greenfield, Franklin Co., MA. May 5th, 2014. 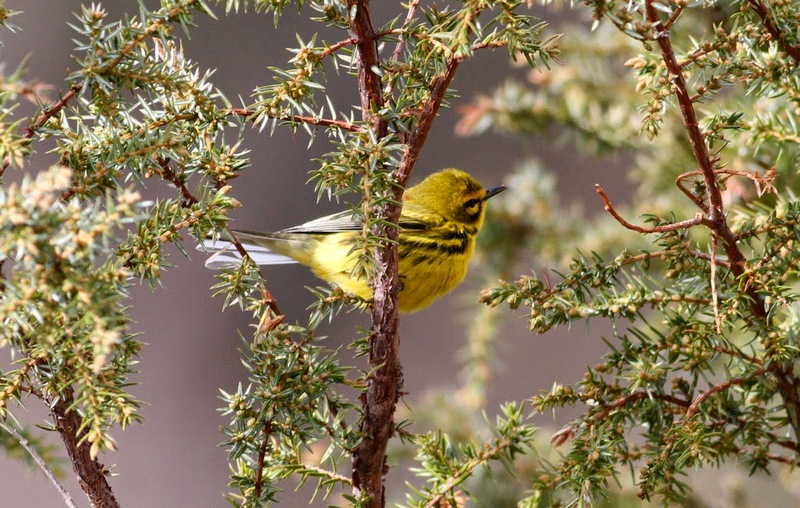 Prairie Warbler - male, Mountain Road, Gill, Franklin Co., MA. May 5th, 2014. 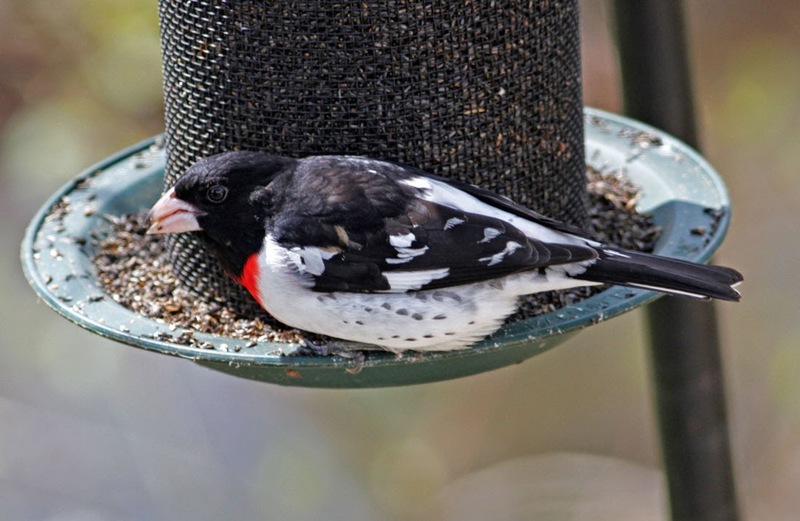 Rose-breasted Grosbeak - male, Gill yard, Franklin Co., MA. May 7th, 2014. 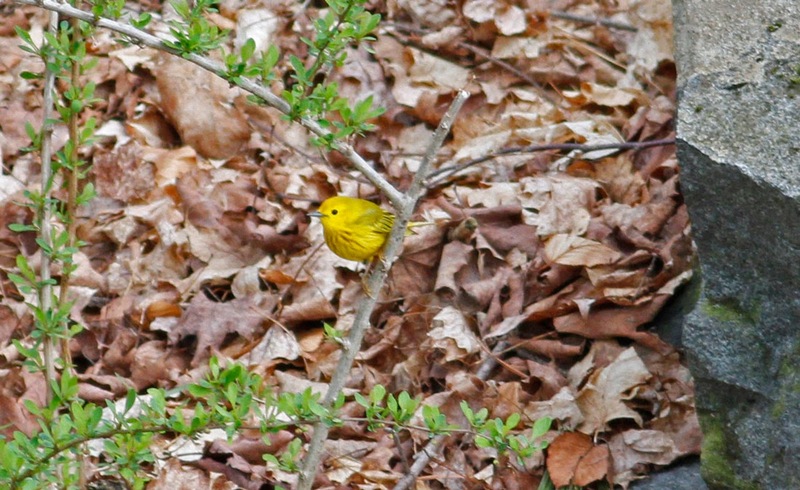 Yellow Warbler - male, Gill yard, Franklin Co., MA. May 5th, 2014. 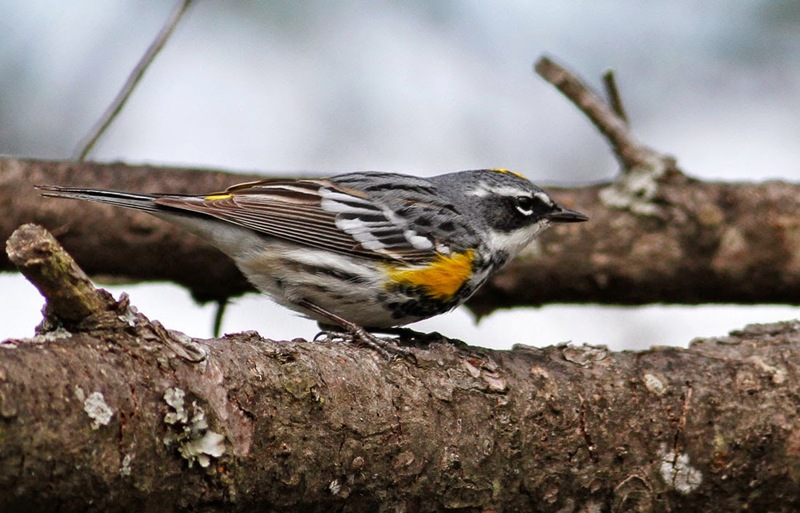 Yellow-rumped Warbler - male, Poet's Seat, Greenfield, Franklin Co., MA. May 5th, 2014. 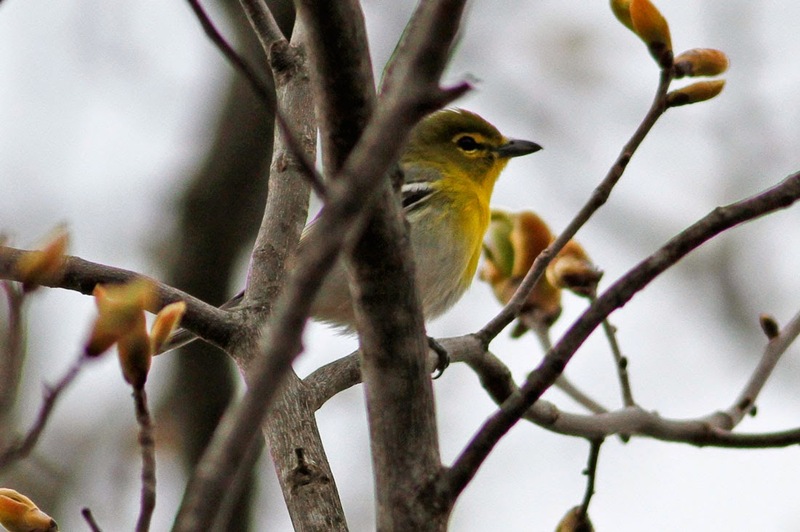 Yellow-throated Vireo - male, Poet's Seat, Greenfield, Franklin Co., MA. May 5th, 2014. What a difference a day makes! 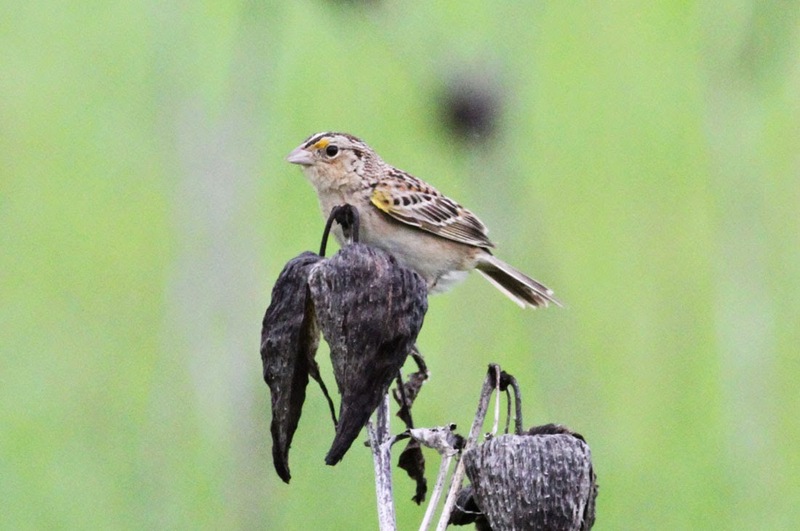 The storms cleared allowing most of yesterday's grounded birds to move on. At Barton Cove this morning, just one non-breeding plumaged Common Loon, 3 female Buffleheads and 12 Ring-necked Ducks but new arrivals included a pair of Eastern Kingbirds at the boat ramp. 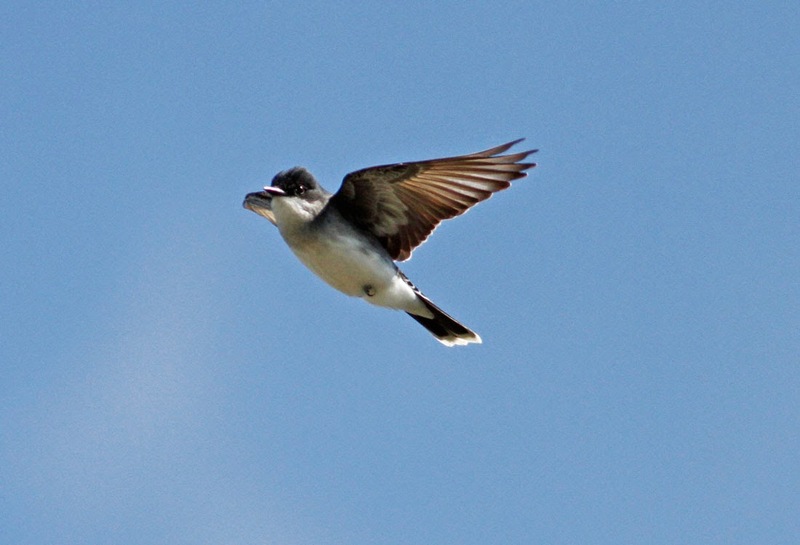 Eastern Kingbird - one of a pair back on territory, Barton Cove boat ramp, Gill, Franklin Co., MA. But it was the raptors that really caught my attention this morning - the air seemed to be full of them with an interesting mix of local and migrant birds. Chief among these were Broad-winged Hawks with over 40 moving north over Barton Cove between 09:20 and 10:20hrs. 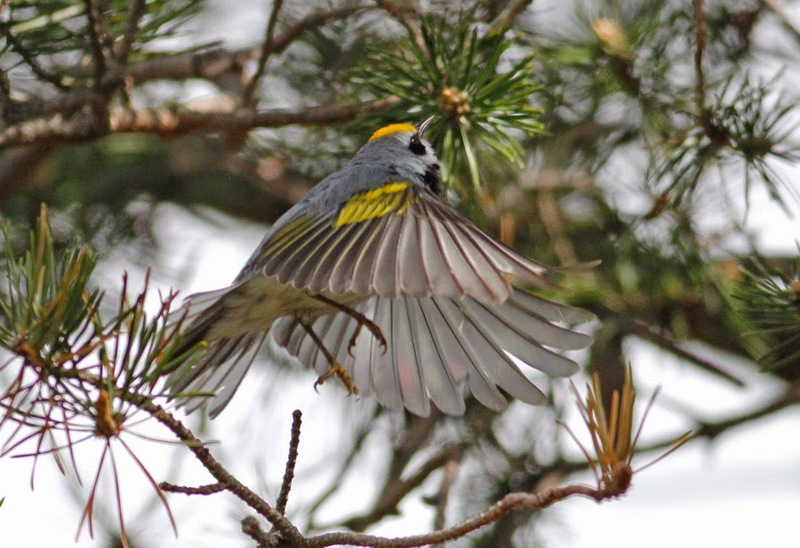 I'm usually out-of-state when Broad-wings move through so it was especially pleasant to catch up with small kettling groups of up to seven birds. 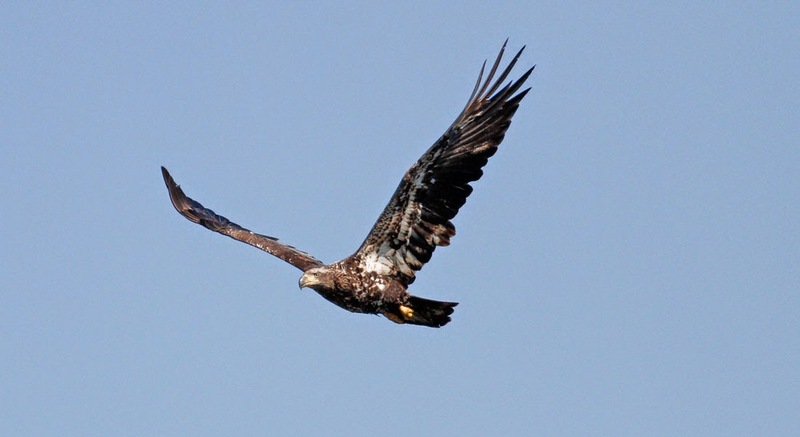 Single numbers of Sharp-shinned Hawk and Ospreys featured in the movement too, whilst locals included at least four Bald Eagles, Red-tailed Hawks, Turkey Vultures and several calling, displaying Broad-winged Hawks. Most of yesterday's swallows had moved on as well, but I did note several Bank Swallows and there were plenty of Chimney Swifts around this morning. Bald Eagle - 2nd/3rd year, Barton Cove, Gill, Franklin Co., MA. May 2nd, 2014. 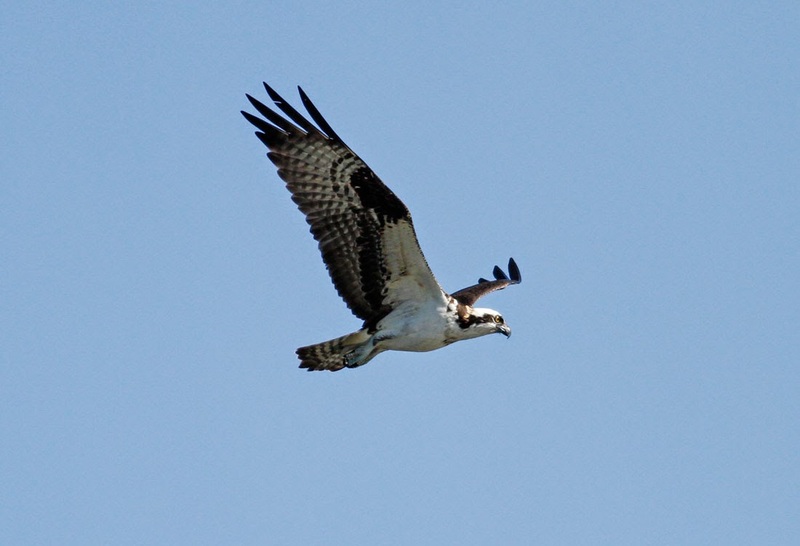 Osprey - Barton Cove, Gill, Franklin Co., MA. May 2nd, 2014.